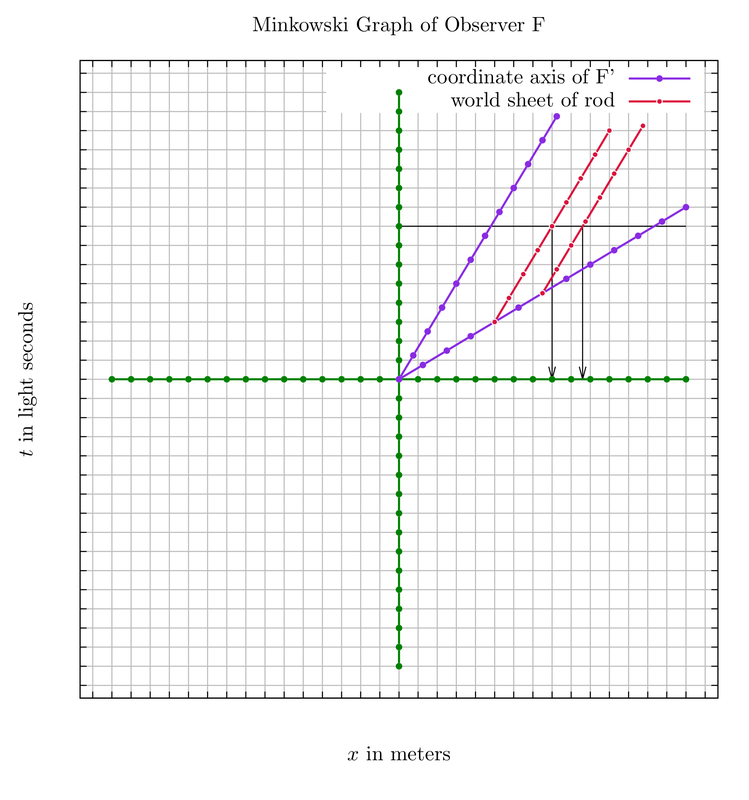 Minkowski graph is an important and elegant tool to compare and quantitatively analyze the relativistic physics from multiple inertial frames. Unfortunately, the specialized software to generate such plots are non-existent on the internet. I have prepared few scripts for this very purpose. You need to have GnuPlot and Java platform in order to use these scripts. Since both softwares are available in all the platforms, you can run these scripts in any operating system. Also GnuPlot has the ability to generate the code for a package called TikZ. Hence the plots generated can be used in scientific articles and presentations. The GitHub repository of the project is minkowski graph. Although it works fine, it is not user friendly. My next aim is to port the script ‘plot’ to Java using JavaPlot. This way the scripts can be combined in one single package.